I joke that you aren't a real consultant until you have made up your own four quad model but in reality we are probably all doing this all the time. 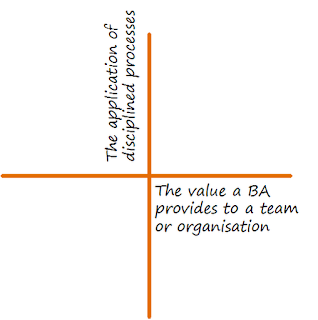 Four quadrant models are used by consultants and change agents because they provide a visual way to introduce new ways of thinking. 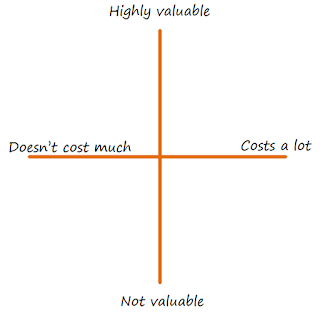 For example; people might be very focused on cost so you can leverage that by making it the X. 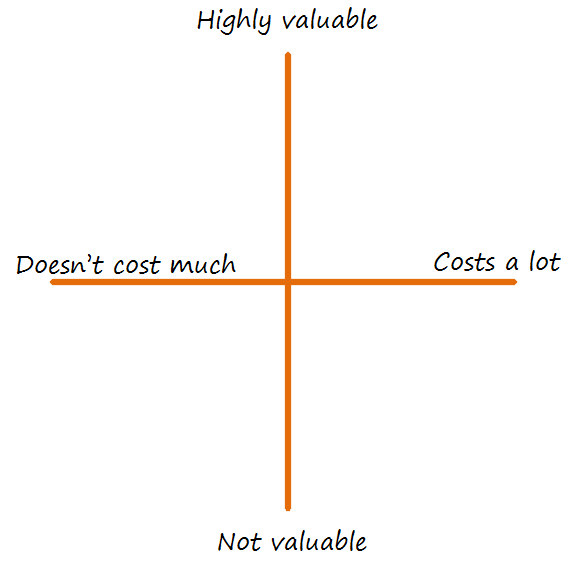 You as the change agent might want people to think more about value, so you can introduce it as the Y axis. Now you have a way to connect your ideas around value to people's ideas on cost. Perhaps this added dimension can help bridge the two mindsets. Another thing to be aware of is the notion that creativity is essentially the introduction of existing ideas in a way that generates new insights. The X-Y grid provides an easy to access tool to generate creative new ways of looking at the world. When you look at these two axes you get a opportunity to compare and contrast two different ideas, and hopefully generate some new ways of thinking. I'll admit my example isn't that innovative, but I hope you see what I mean. We might start with some assumptions that disciplined application of modelling processes makes for good value contribution. We might start thinking about collecting data points or units of measure, and that might lead us to question other ideas or assumptions. We might ask ourselves whether we have the right axes in the first place. Which leads me to another point; when you get presented with a model by someone else; academic, consultant or just someone you work with you should challenge the underlying assumptions. So, do yourself a favour and try creating some compare and contrast models and see what you come up with.